The inspiration for this 5 year old Girls Party came from a graphic that I found online of Beauty and the Beast’s “Belle”. 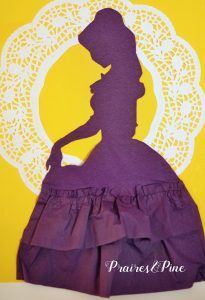 I just adored this feminine and whimsical silhouette of Belle. I printed and cut out a full sized graphic of Belles facial profile. 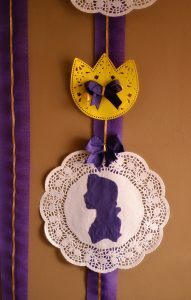 I used purple napkins from the Dollar Tree and traced and cut out Belle profile faces in different sizes. 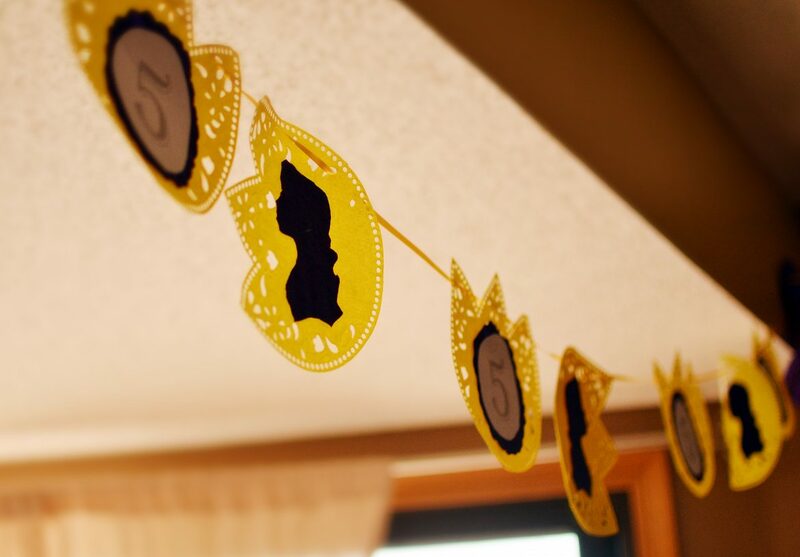 I hot glued these to the party decorations. As always, the Dollar Tree was my friend. 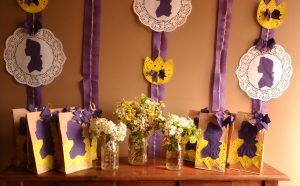 I bought a package of white doilies and a package of yellow Easter shaped doilies, and used these as backdrops for the gorgeous Belle cutouts. 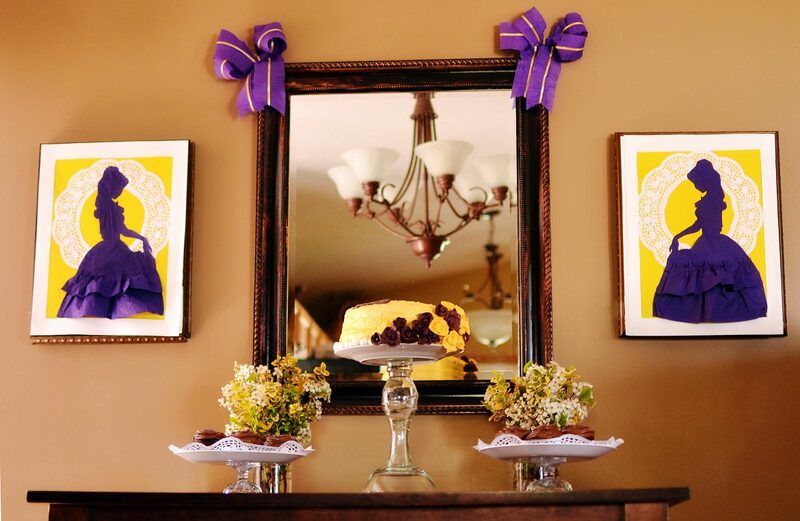 For added height behind my favor table, I machine stitched several lines of purple streamers together with a piece of gold wrapping ribbon in the middle. 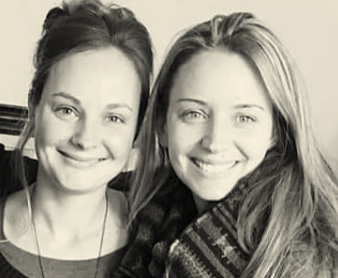 This sounds difficult, but trust me it’s not, and the results were stunning. MADE EVERYDAY has an amazing tutorial on how to do this: http://www.madeeveryday.com/2011/05/tutorial-ruffled-streamers.html/ For the Favor Bags, I used paper lunch bags bags and hot glued on a yellow doily, a Belle profile napkin cutout, and a bow made out of a streamer. 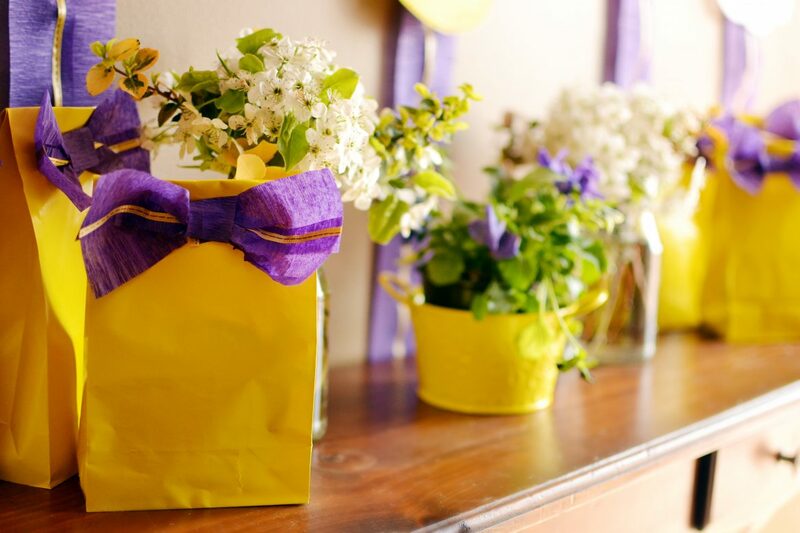 I used recycled glass jars filled with spring blossoms and clippings from my garden to add color to the tables. 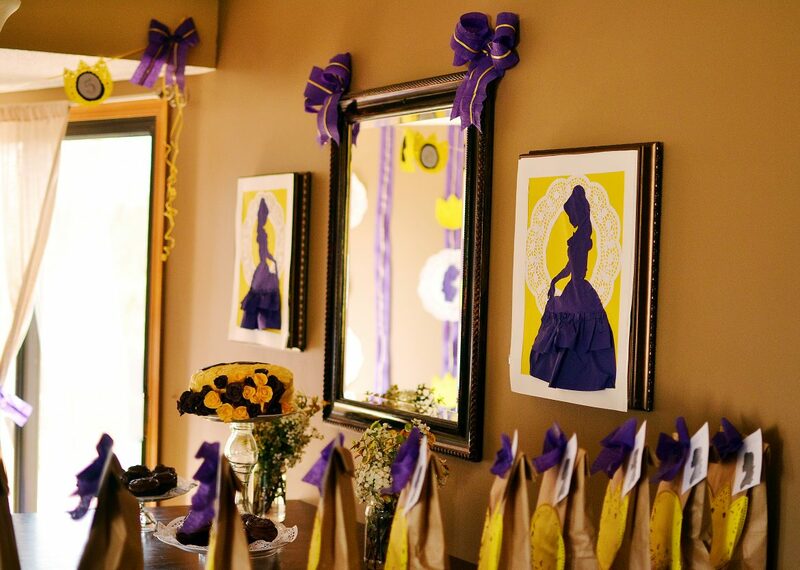 My Favorite part of decorating this party was the full length Belle Silhouettes that I created using napkins. 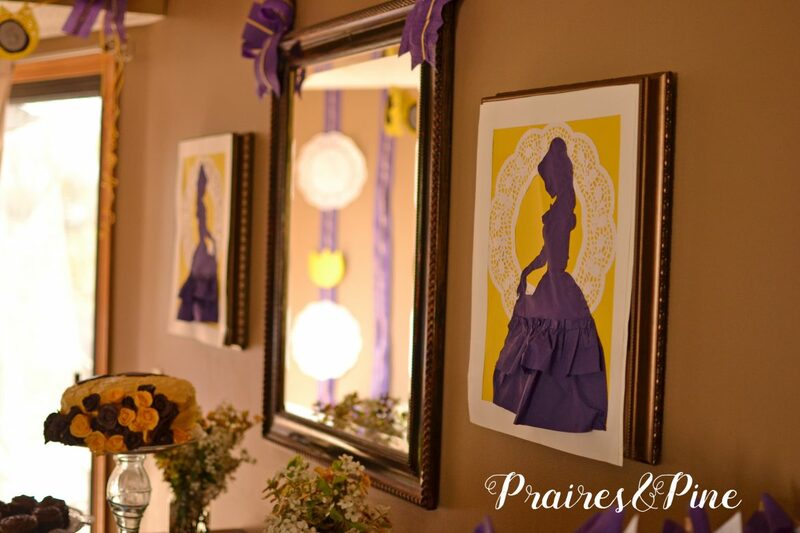 I just love creating ruffles with fabric, and I wondered if napkins could be manipulated in the same way. 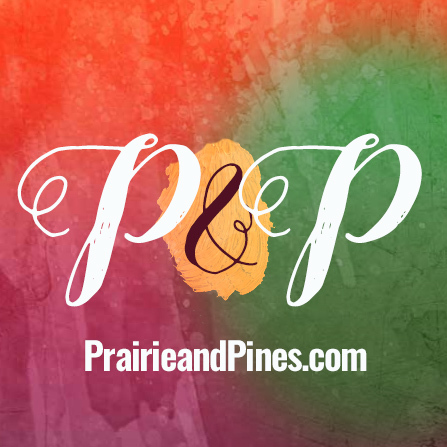 I set out to try it on my sewing machine and was pleased to find out that they do! 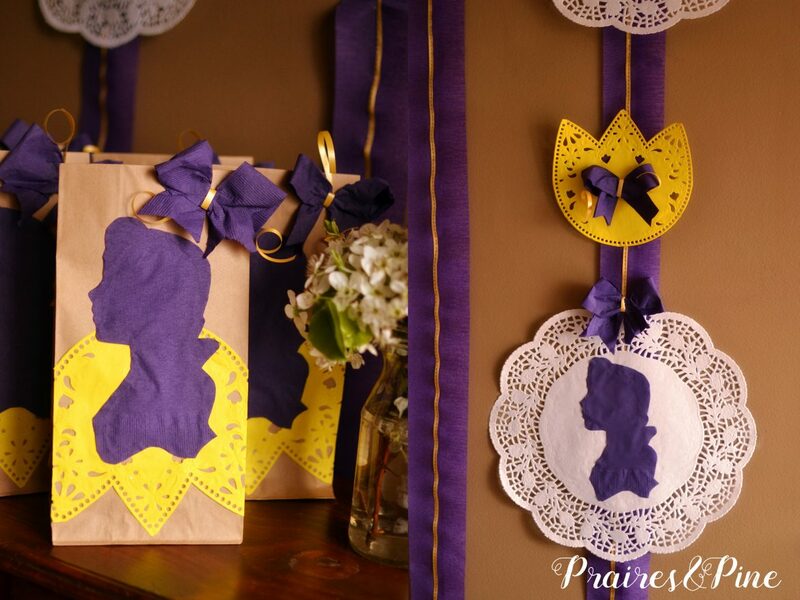 Here is a tutorial on how to create these cute princess silhouettes. Since I had already perfected the home made cupcake stand Here I decided to try my hand at a cake stand. 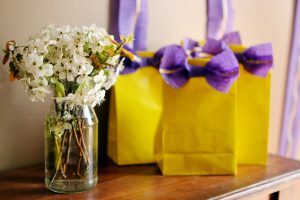 I used E-6000 glue to adhere a bowl, vase, and plate (all from the dollar tree) together. I again was impressed with how $3 in glassware refined my party table! DISCLAIMER: I am NOT a professional cake decorator, as I am sure you can tell from my cake. 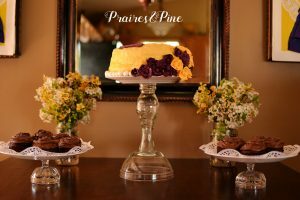 I like to tackle my birthday cakes at home for two reasons. Firstly, it saves a ridiculous amount of money, and secondly, homemade cake and frosting usually taste a lot better than store bought. This cake was a two layer round cake frosted with vanilla buttercream frosting. I made a batch of Marshmallow Fondant (MUCH cheaper than buying fondant) and dyed it purple and yellow to match our Belle Theme. 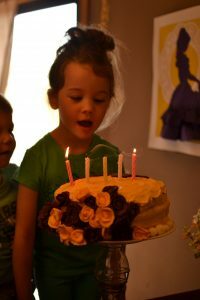 I used an online tutorial to create fondant roses and stuck them onto the cake. The left over yellow doilies were strung up to create a pretty banner. 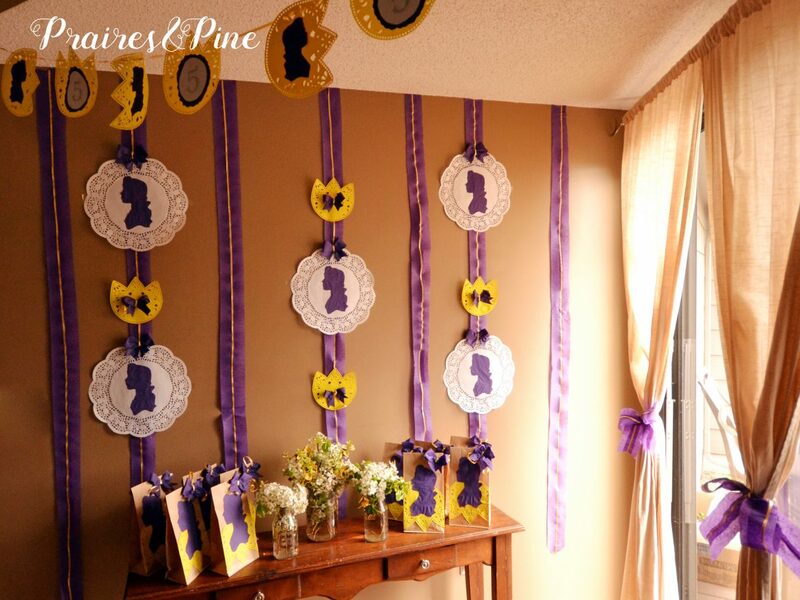 I alternated with printed 5’s and Belle Profiles. 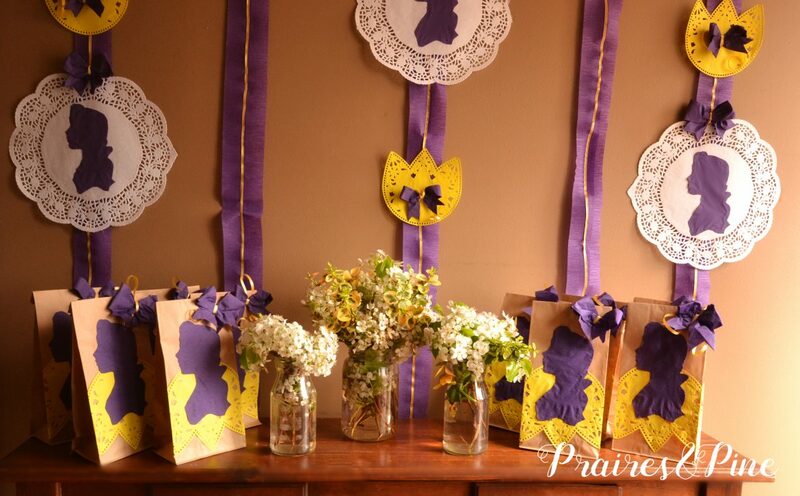 The party guests watched Belle on our projector screen and decorated their own Belle Themed popcorn bags for the movie. 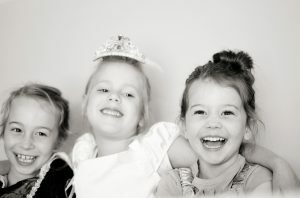 In the end this party was easy on my wallet and my five year old and her sweet friends had a royal time. 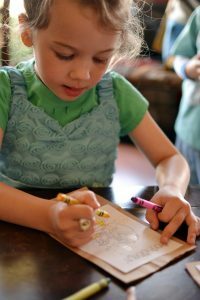 Total budget for THE BELLE BASH was $30.